Karl-Heinz Bendert was born on 9 September 1914 at Schwiebus in Mark Brandenburg. He joined the Luftwaffe in 1937. Bendert was posted to JG 27, based at Magdeburg-Ost, in January 1940. Feldwebel Bendert was assigned to 4./JG 27. He gained his first victory, a RAF Blenheim twin-engine bomber shot down near Rotterdam, on 12 May. By September his victory total had risen to six. By November 1941, Bendert was operating over North Africa. Here he was particularly successful. He claimed his 10th victory on 22 May, his 20th on 4 August, his 30th on 12 August and his 40th on 22 August. However, he became embroiled in a controversy over the falsification of his claims along with others in his unit. This did not preclude Leutnant Bendert being awarded the Ritterkreuz on 30 December 1942 for 42 victories. From 3 November 1942 until 7 September 1943, Bendert was assigned flying instructor duties with 2./Ergänzungs-Jagdgruppe Süd.  He returned to II./JG 27 but was then appointed Staffelkapitän of 5./JG 27, based in Germany performing Reichsverteidigung duties, on 2 December. On 26 April 1944, Bendert was appointed Staffelkapitän of 2./JG 104. He recorded his last four victories with this unit in February 1945. Bendert survived the war. He died on 16 July 1983 in Oldenburg. 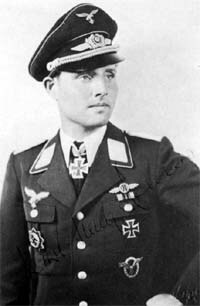 Karl-Heinz Bendert was credited with 55 victories in 610 missions. All his victories were recorded over the Western front. His score includes ten four-engine bombers. - E/a 2./JG 104 Viermot?